Cable & Wire - RG59TL-1000BLK - Only $189.95! 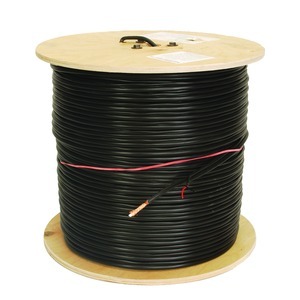 RG-59 coaxial cable is the main cable used in transferring video between your camera, and your video monitoring station be it a DVR or Monitor. Insulated with Foam Poly, and a 20 Solid Copperweld conductor size, this cable is by far superior to most other suppliers.